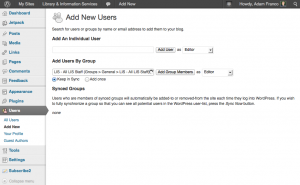 This entry was posted in LIS Staff Interest, Middlebury Community Interest and tagged Course Hub, Curricular Technology, Web Application Development, WordPress on August 16, 2013 by Adam Franco. 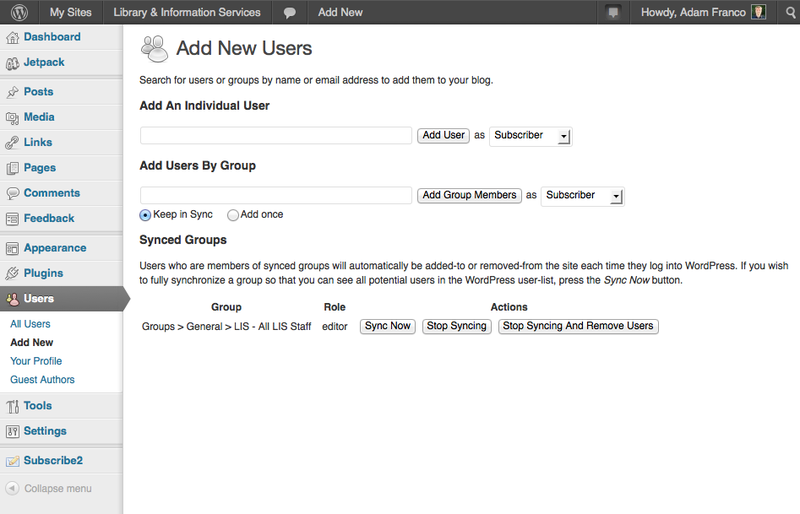 New for the Fall 2012 semester is integration between the “Classes Folders” on Middfiles and the Course Hub. 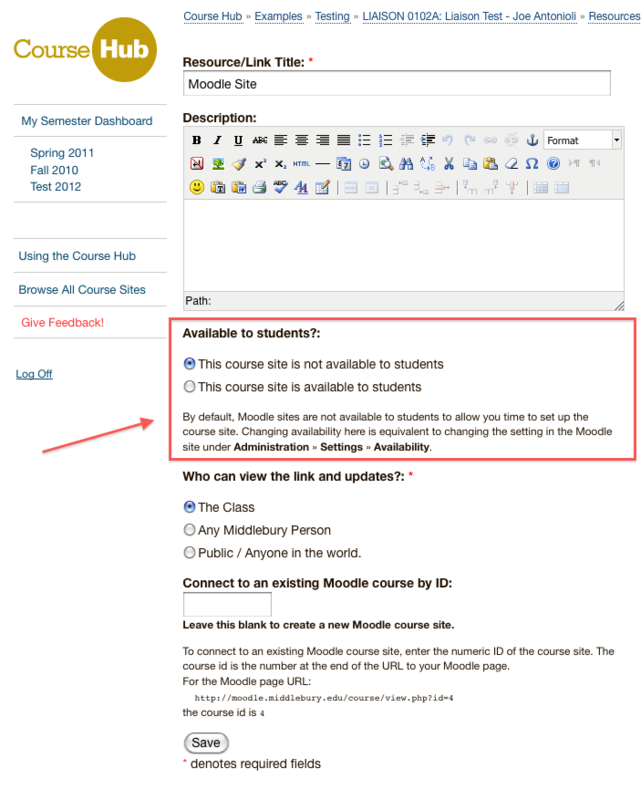 When you put files in the HANDOUTS/ or SHARE/ folders of your class folder, a “Middfiles Class Folder” resource will automatically be added to your Course Hub site. This resource provides a link that allows students to easily browse the files without having to mount a network drive. There is nothing extra you need to do. Read on for more details. This entry was posted in LIS Staff Interest, Middlebury Community Interest and tagged Course Hub, Curricular Technology, middfiles, Web Application Development, WebDAV on August 16, 2012 by Adam Franco. 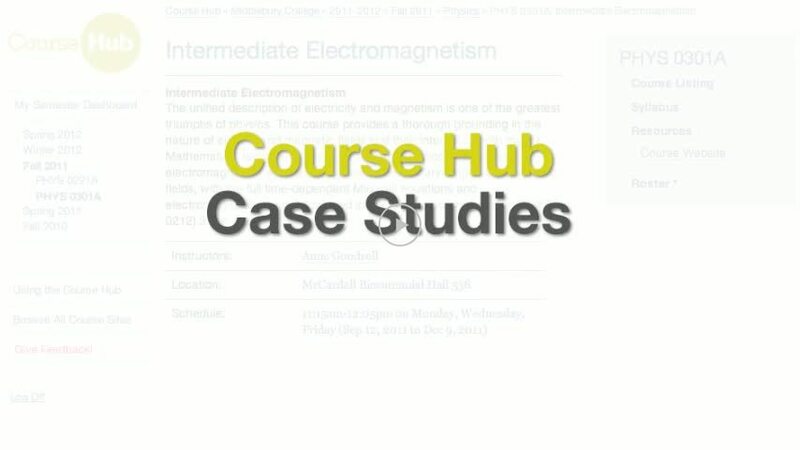 As of today, instructors can create Course Hub sites for lab, discussion, independent study, and other section-types that do not have Course Hub sites automatically created. The lab is taught by a separate instructor with its own resources and syllabus. You wish to create separate resources (e.g. 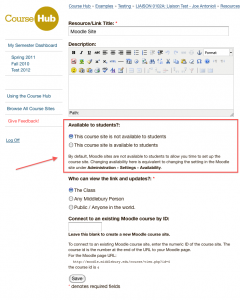 Moodle sites) for each discussion section. This entry was posted in LIS Staff Interest, Middlebury Community Interest and tagged Course Hub, Curricular Technology, Web Application Development on February 7, 2012 by Adam Franco. This entry was posted in LIS Staff Interest, Middlebury Community Interest, Post for MiddPoints and tagged Course Hub, Curricular Technology, segue, Web Application Development on December 22, 2011 by Joseph Antonioli. 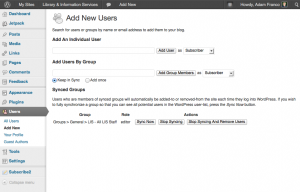 For more than a decade the Web Applications group and its predecessors have provided a popular “class photo roster” through the online directory to help instructors match names to faces. 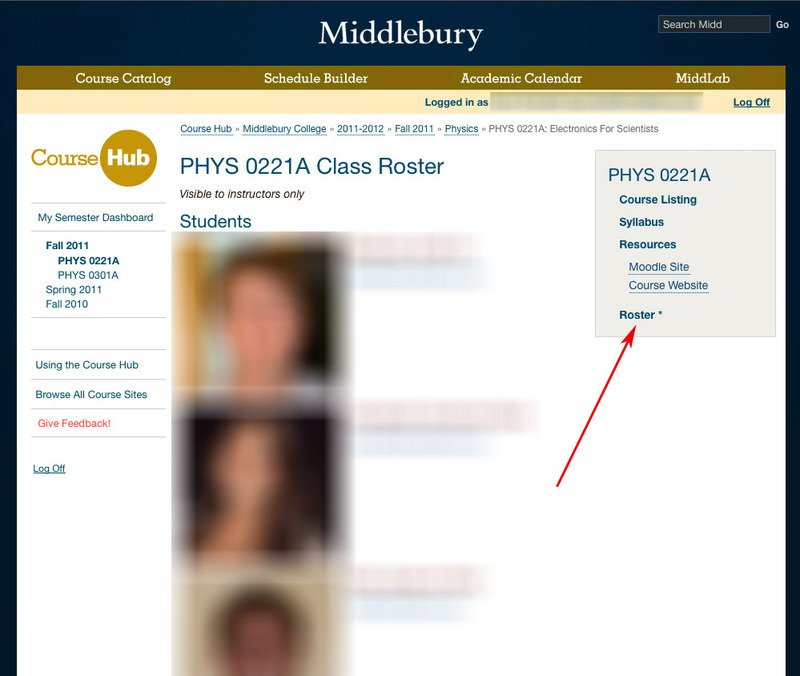 We are pleased to announce that as of today, the class photo roster is now a feature of the Course Hub. As with the old version, the photo roster is only accessible to the instructor[s] of a course. 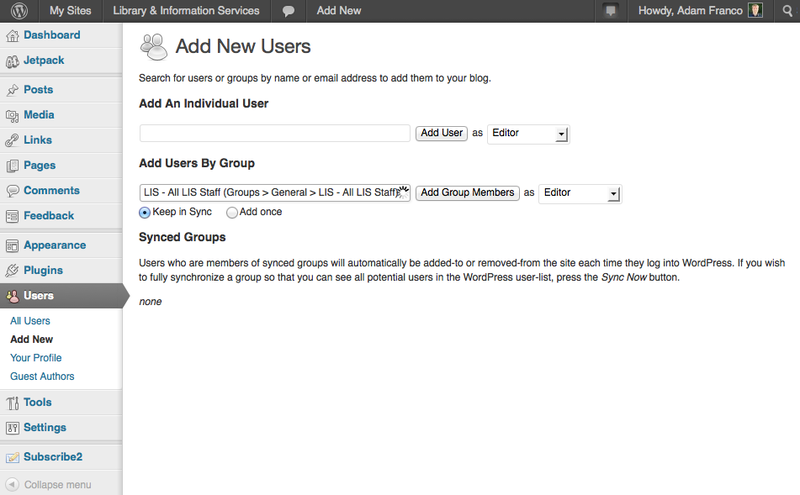 We hope that by moving the photo roster into the Course Hub it will be easier to use and more readily accessible. While we don’t have a shutdown date yet, the old version of the photo roster will likely disappear when the online directory is next rebuilt (not until sometime after the current semester). Faculty, please give this new feature a try (look for the Roster links in the Course Hub) and give us any feedback you may have. This entry was posted in LIS Staff Interest, Middlebury Community Interest and tagged Course Hub, Curricular Technology, directory, Web Application Development on September 22, 2011 by Adam Franco.